Edmonton Oilers radio play-by-play hall of famer Rod Phillips will highlight the 2010-2011 Edmonton Oilers season by calling radio play by play for 10 ‘Rod’s Classics’ games. The ‘Rod’s Classics’ Series will mark the end of Rod’s illustrious career as ‘Voice’ of the Oilers, a career that spanned 37 years. The ‘Rod’s Classics’ games will be carefully selected to highlight the biggest games, the biggest playoff series, Stanley Cup victories, and the storied connection the Oilers radio games have established between listeners and the team. The ‘Rod’s Classics’ series will be announced when the NHL Schedule is officially published. The ‘Rod’s Classics’ series will also mark the conclusion of a career spent bringing Oilers hockey to the lives and living rooms of Edmonton Oilers hockey fans for nearly four decades. The ‘Battle of Alberta’, the Stanley Cups, the Greatest NHL players in living memory including Wayne Gretzky, Gordie Howe, Bobby Hull, Mario Lemieux and Guy LaFleur have all been described by Rod Phillips as he called Oilers hockey from fall through winter and into spring every year. He verbally painted Oilers pictures with his radio description of the Oilers in action from inception in the WHA, and every moment since. The Oilers have never had another radio voice and while the announcement of next years’ ‘Rod’s Classics’ series of games will provide Oilers fans the chance to enjoy his ‘call,’ it also signifies the end of an era in Edmonton. The 68-year-old Calmar, Alberta native called over 3,500 Oiler games in a 37-year career. 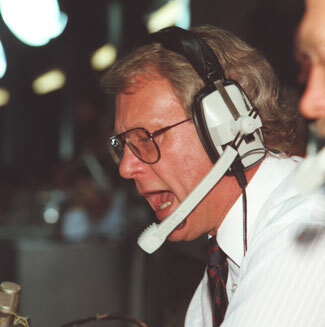 Phillips started calling professional games in 1973 in the World Hockey Association (WHA) with the Oilers and then continued with the team in 1979, the Oilers’ inaugural season in the National Hockey League. Over the next 29 years Phillips would miss just two games; one due to illness and one when he was inducted into the Hockey Hall of Fame in 2003. Phillips’ first career WHA game called was on October 12, 1973 versus the Winnipeg Jets. The Oilers won 6-4. His first career NHL game was called on October 10, 1979 at Chicago Stadium where the Blackhawks beat the Oilers 4-2. 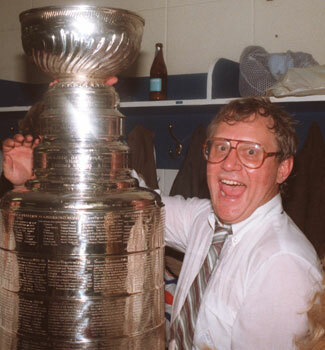 Phillips called all seven Oilers’ Stanley Cup Finals appearances including their five Stanley Cup wins against the New York Islanders (1984), the Philadelphia Flyers (1985, 1987), and the Boston Bruins (1988, 1990). Phillips was the 2003 recipient of the Foster Hewitt Memorial Award, an award named after Foster Hewitt and presented by the Hockey Hall of Fame to members of the radio and television industry who make outstanding contributions to their profession and the game of ice hockey during their broadcasting career. The award winners are selected by the NHL Broadcasters' Association. Prior to working in the WHA and NHL, Phillips worked at CFRN where he co-hosted Edmonton’s first ever late-night weeknight sportscast. The 1964 graduate of the National Institute of Broadcasting started working in Lethbridge, Alberta at CHEC Radio before moving back to Edmonton to join CFRN. Phillips, who was born September 9, 1941 in Calmar, Alberta, is married to wife, Debbie. They have two children, Quinn (28) and Devan (25). Phillips will be making “the 53 steps from the media lounge to the broadcast booth” a few more times during the 2010-11 season as part of his ‘Rod’s Classics’ series farewell.